Is Internet Fragmentation The Newest Threat? The open and unified Internet we enjoy today started as a United States of America (US) government project in the late 1960’s. The US government sponsored the development of the Defense Advanced Research Project Agency Network (DARPA Net), a resilient communication resource. it works because its governance is open, inclusive, collaborative and transparent. Its nature of openness and diversity has culminated to innovation without permission (net neutrality), thus encouraging the free flow of ideas and the exchange of information across borders; spurring economic growth in the process contributing to socio-economic development the world over. Recently, however, talks on Internet fragmentation otherwise referred to as “splinter net” have continued to pop up leaving the whole Internet debate at crossroads. The debate is being spurred by governments with Brazil, Germany, and Iran being at the helm of considering carving out their own sectors of the Internet. In Brasil for instance, there’s talk about forcing global Internet giants such as Google and Facebook to locate their data centres locally to process local communication. 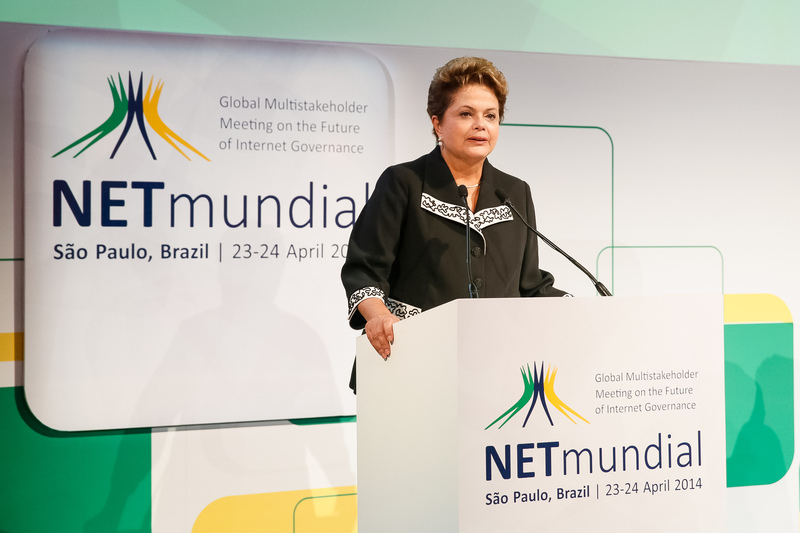 The sheer irony is – Brazil hosted the NETmundial 2014 meeting, whose core thematic area was ***“preserving a unified and unfragmented ecology of the Internet”***. On the other hand, the Iranian government’s efforts to build a National Information Network is perhaps among the biggest efforts by a country to “wall off” the Internet. Such moves by countries to “balkanize” the Internet largely contravene the agenda of the first Internet Governance Forum held in Athens (2006), which was centred around access, openness, security and diversity. If Edward Snowden’s revelations on the state of US online surveillance is anything to go by, then surely there’s more cause for warranted alarm that the trend of fragmenting the web is indeed an apparent reality. Internet pundits have argued that the move to create a splinter net will trigger about the creation of parallel networks as governments the world over will strive to isolate their critically vital communications. “Carving up the web could lead to the emergence of a patchwork of online nation states with different rules, regulations and hindered communication”. Similarly, the phenomenon could prove a disaster for global IT giants and pose a threat of a full-blown splinter net. So what implication does this have on the open Internet? To understand the implications of such a move, one doesn’t need to look further than China to deduce the anticipated outcomes if this meme is allowed to perpetuate. It is no rocket science that this would probably foster the creation of local search engines, e-mail systems, social networks just to name but a few – a perceived intimidating likelihood for the public listed companies! The whole notion of global online citizens could then lose all it’s meaning in the end, reversing all the gains made for the last 25 years of existence of an open public Internet. Multi-stakeholders need to relentlessly fight to preserve the unified and unfragmented ecosystem of the Internet. Despite the fact that governments still retain power at national levels and legislate laws that greatly affect the citizenry’s use of the Internet, it’s evolution as a public space should remain so – working internationally and non-nation based.